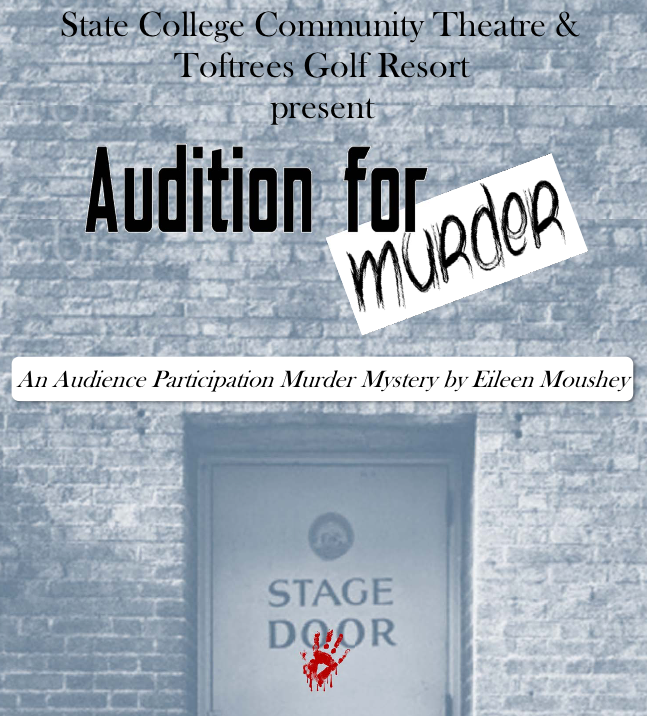 Murder Mystery Dinner Theatre at the Toftrees Golf Resort! All dinners are served with Garden Salad, Bread Service, Chef’s Accompaniments, Dessert, and Coffee and Iced Tea. Cash Bar available. Gratuity included in ticket pricing! Tickets are $48 per person – follow the links below! New venue is completely ADA accessible! Jeff Buterbaugh as Scott, Part time security guard, wannabe actor and…. full-time killer? Caroline Tseo as Marcy, is she that dumb? Or is she hiding something deadly? Dave Custer as Joe , completely crazy or just crazy drunk? This production is not a part of our Main Stage Season. No Season Tickets, Flex Passes, or Vouchers can be honored for these performances. All tickets are non-refundable. Tickets can be exchanged with notice for another performance in the same series. In the event of a sell-out, please call the Box Office at (814) 234-7228 to be added to the waiting list. Tickets can be purchased through the links above, or by calling the Box Office during regular office hours.